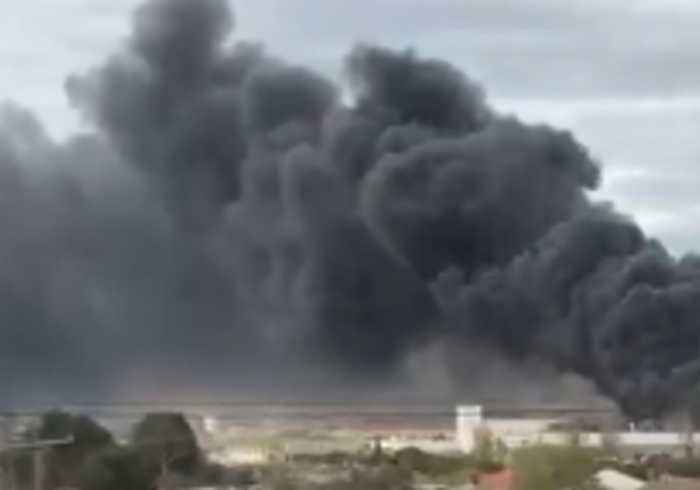 A thick plume of black smoke billowed from a factory fire in West Footscray, Melbourne, on the morning of Thursday, August 30. The Metropolitan Fire Brigade said more than 80 firefighters and 20 fire engines were deployed to battle the blaze on Somerville Road and warned of a &ldquo;large amount of toxic smoke&rdquo;. Somerville Road and Paramount Road were closed in both directions.